Mile Square Transportation offers school district and private school systems by allowing them to focus on quality educational programs rather than the daily distractions and complexities of pupil transportation management. 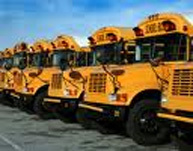 We are a school bus company willing to solve your problem with transportation. We provide transportation for adults, children and the elderly. Copyright © 2010 Mile Square Transportation. All Rights Reserved.